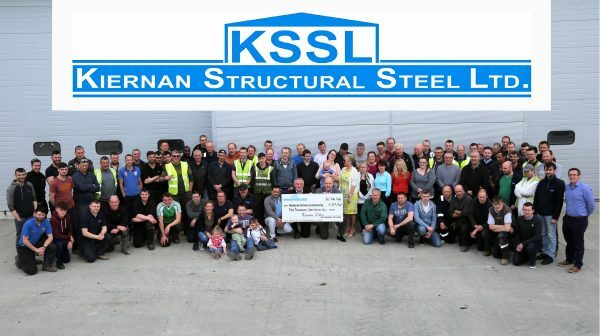 Kiernan Structural Steel are delighted to have been part of the annual Sleep out for Simon. The Simon Community do such amazing work all over Ireland. 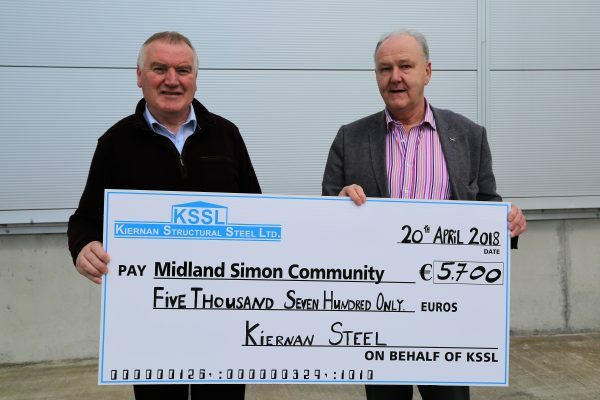 Pictured below our MD Frank Kiernan presenting a cheque to Noel Green from the Midlands branch of the Simon community – A total of €5700 was raised by the Staff in KSSL. Well done to all our staff ..